Toddler (3T-4T) - $57.99 Only 9 left! Your child is already a little hero. Just the other day he stopped the dog from eating some chocolate that fell to the floor. Well, maybe it was because he wanted to eat it first, but still--he saved the dog. We can’t help but draw similarities; that’s exactly what Optimus Prime would have done in that situation. Honestly, it’s not like we draw Optimus Prime similarities to everything all day long--side note: we do actually do this--but that was a real hero move by your littlest one. And with that in mind, we think it’s time for you to embrace your kiddo’s true identity and get him this Toddler Optimus Prime Rescue Bot Costume, perfect for embracing the leadership and goodness that shines from your child. Sure, he may not be able to transform into a truck and chase down any dangerous Decepticons, but that’s OK--he’ll grow into that responsibility. Right now, you just need to set him up with a friend dressed up in a Bumblebee costume and you can start putting together an adorable team of toddler Autobots that will be ready for action at a moment’s notice--well, at least as long as it’s after nap time. Not that your kid needs it, but this costume also comes with soft-sculpted fiberfill in the chest and shoulders, helping show off that muscular look. 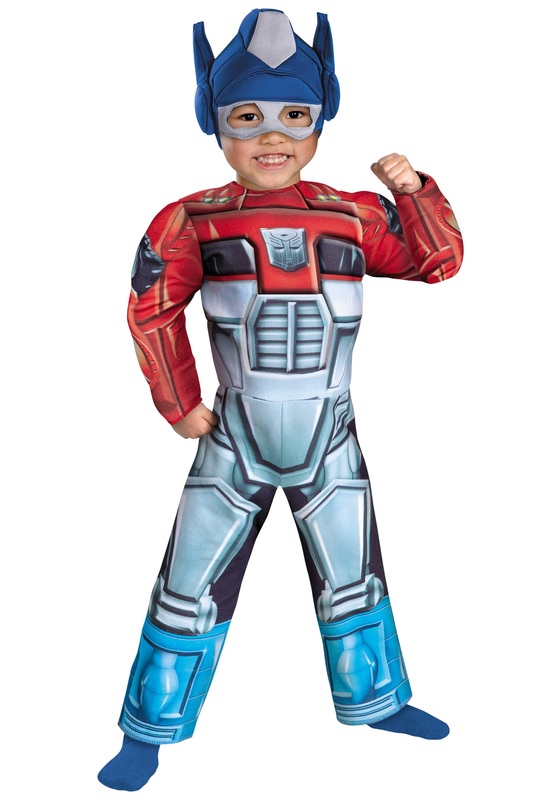 Meanwhile, the entire outfit has all-over printed details which recreate Optimus Prime and includes a headpiece that covers the head and upper face. Stuffed horns on sides of the headpiece complete your kid’s transformation into the original leader of the Autobots; now let him go and keep peace and order in the household!